By Carl Slaughter: Retired professional scientist Edward Lerner talks about a host of hard science fiction topics, plus his collaboration with Larry Niven, his participation in SIGMA, and his nonfiction column for Analog. Carl Slaughter: What was the deciding factor in getting out of full-time science work and getting into full-time fiction work? Edward M. Lerner: There were two factors, as it happens. The first: I had to become ready for a radical change. While I had greatly enjoyed my career in science and engineering, much of the work eventually came to seem repetitive. Second, I had to prove to myself I had developed the necessary writing skills. My debut novel might have been a fluke, and for about a decade after that book’s publication my day job kept me too busy to write much. It wasn’t till after I’d sold a second novel, plus a couple shorter stories to Analog, that I took the leap. CS: But in the end, it wasn’t all fiction, was it? EML: As it turned out, no. Years after the career change, I developed a new interest: writing popular science. The chief example of that is the series of “the science behind the fiction” articles I did for Analog. Each article explored the science and engineering, sometimes speculative, that might underpin a common SF trope (such as faster-than-light travel, time travel, or telepathy), and is “illustrated” with SF stories, TV shows, and movies that made use of—or anticipated—some of that tech. CS: Your science career, like your science fiction career, is all over the map. Which aspect of your science career contributed, directly or indirectly, to which aspect of your science fiction career? EML: Certainly my employers were all over the map, metaphorically and geographically. But that first career? I’ll assert otherwise. The unifying theme—notwithstanding the mix of commercial and government-contracting employers, and the variety of situations addressed—was the tackling of complex problems with computers. More generally, building any complex, responsive, mission-critical system cultivates a mindset. One learns to: consider everything that might go wrong, including recalcitrant users; design features to head off undesirable outcomes; provide ways to mitigate the consequences when such precautions nonetheless fail. As an SF writer, I also consider the implications of technology and how it might go wrong. I try not to rely upon venal or careless characters—as in most every Michael Crichton novel—to drive my stories. If, for example, a plot problem requires information from the bad guy’s computer, the solution ought not to be for the good guy to hack a computer in ten seconds flat, or for the bad guy to walk away from his desk while leaving his computer logged on. When a computer break-in is necessary, I want to make the penetration credible. I spend much of my “writing” time wearing my engineering hat, asking myself: what about the technology available in a certain situation might go wrong or be abused? Then: what would a responsible engineer have done to minimize that risk? Then: what might a bad guy (or nature, being recalcitrant) do to circumvent those preventive measures? Then: why wouldn’t the designer have anticipated that hazard, and already done something to counter it? Iterate till no party to the developing storyline is being obtuse merely to advance the plot. Case in point: there are many fictional examples of nanotech run amok. Most such, IMO, rely on thoughtlessness or carelessness on the part of the fictional nanotechnologists. 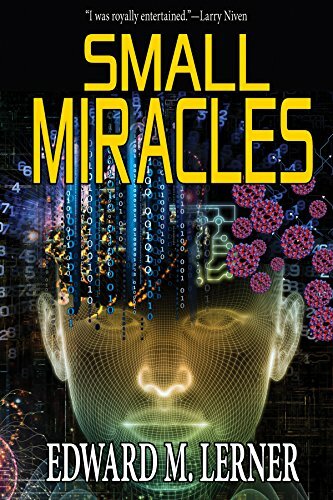 At the start of writing my own nanotech novel (Small Miracles), I did a lot of research—and had a lot of back-and-forth with doctors, biophysicists, a biologist, a neurologist, and nanotechnologists—to come up with defensively designed medical nanobots that might nonetheless, in unforeseen circumstances, have unanticipated effects. CS: You also did a lot of management work. You even have an MBA. Did your management background help or hinder your science fiction writing? EML: My immediate reaction was that, apart from its utility on the business side (versus the creative side) of being a writer, my management background had no relevance. While economics is known (hat tip to Victorian historian Thomas Carlyle) as the dismal science, it’s hardly the basis for much science fiction. And when accountants do delve into fiction, we get messes like Enron and the 2008 financial crisis. My second thought was quite different. 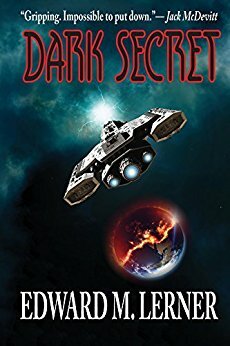 Lots of SF, much of mine included, overlaps with the mystery genre, wherein a common method of unraveling plots and solving crimes is to “follow the money.” Maybe that’s why I’ve written three major business-oriented protagonists (and I suspect I’d find more if I did a thorough review of all I’ve written). And, as it happens, my latest story series, kicked off by “The Company Man” (Grantville Gazette, May 2017 issue) has a forensic accountant as its antihero …. CS: You’ve described some of your work as “meticulously researched novels.” What do you mean by that phrase? EML: One corner of the broad genre of speculative fiction, as you know, is called “hard SF.” IMO that’s a terrible label, by which “hard” often gets misconstrued as meaning (too) challenging to read. The term is supposed to convey fiction in which real science is integral to the story, the adjective referring to an early emphasis within the subgenre on the so-called “hard” sciences, such as physics and astronomy. I write mainly hard SF—and getting the science right is important to me. That means research. As for whether my research qualifies as “meticulous,” opinions will vary. To support my claims of research sufficiency, I’ll offer two anecdotes. Did I get the biology right? A doctor friend was discussing the finished novel—during surgery, over a patient—with a colleague. The colleague rushed out after surgery to order a copy, and later ordered a second copy for me to autograph as a gift for a physician relative. The medical aspects couldn’t have been too far off :-). In Dark Secret, my latest novel (“The end of the world … and what comes next”), the supporting research ranged from gamma ray bursters to cosmic strings, from aberrant psychology to parasailing. For Déjà Doomed (the working title of my novel in progress), I’ve consulted with astrophysicists about fine points of orbital mechanics. Who says writers don’t have fun? CS: Define artificial life. I mean, how is it life if it doesn’t form and evolve naturally? EML: Like everything artificial, from sweeteners to skyscrapers, an artificial life is made on purpose. A conscious entity like you or me, and not (only) the impersonal and implacable forces of evolution, shapes it. This description doesn’t preclude adapting methods found in nature—nor does it preclude consciously influencing or eliminating random chance …. Definitions of life vary, as do conclusions about whether particular things (such as viruses) are even alive. Wikipedia has a whole long article on the topic (https://en.wikipedia.org/wiki/Life). In common usage, life is carbon-based, built from one or more biological cells, and must adapt to a physical environmental. IMO, that’s merely natural life. 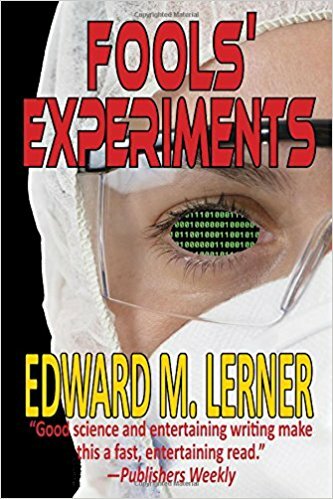 I imagine your question arises in the context of my novel Fools’ Experiments. 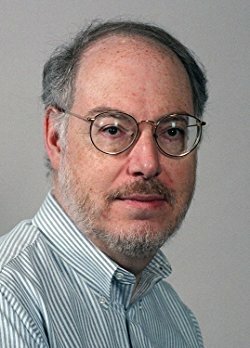 That book deals with the directed evolution within a computer of entities with none of the aforementioned characteristics. The fundamental building blocks of these entities, rather than atoms and molecules, are computer bits; the next level of construction is computer instructions (and a subtle point: that’s not human-written software); and the environmental constraints are virtual. Happily (if only for storytelling purposes) those creatures of artificial life discover how their virtual world can interact—dramatically, and often even catastrophically, so!—with our physical world. CS: Define artificial intelligence. Again, how can it be considered sentient if it was programmed rather than evolving naturally? If you tell it what to think or how to think, it’s just a machine—isn’t it? EML: As a practical matter, an artificial intelligence is anything humans consider (a) acts intelligently and (b) isn’t us. Why? Because we’re no more able to unambiguously define intelligence than we are to define life, consciousness, or awareness. Looking out several years to when quantum computing matures and gets applied to artificial intelligence, it won’t be possible even in principle to understand an AI’s decision process. From basic principles of quantum mechanics, such computing will be inherently nondeterministic. My own cut at quantum-computing-based AI was the Analog detective novelette, “A Case of Identity” (December 2015 issue). If you recognized that as the title of a Sherlock Holmes story, it’s not a coincidence. CS: Your stories have grand scale impact settings but also focus on the impact on individual characters. How do you strike this balance? But seriously, balance is the operative word. On the one hand, an unusual context—whether in space or time, physical law or the state of technology—is the distinguishing characteristic of science fiction. In a phrase, that’s world-building. So, absolutely, much of my fiction is meant to offer an exotic and impactful setting. On the other hand, all fiction, whether of the SF or any other variety, is about people. If an exotically located work of fiction doesn’t affect anyone therein, that is at best an imaginative travelogue and not a story. CS: How did you hook up with Larry Niven and what type of relationship do you have with him? Fleet of Worlds, our first collaboration, was the result. In the (woohoo!) bidding war over the novel, we got an offer as well on a sequel. That we hadn’t discussed a sequel, much less written one? We didn’t let that stand in our way. The sequel became Juggler of Worlds. The series grew to include Destroyer of Worlds, Betrayer of Worlds, and finally Fate of Worlds. CS: Fleet of Worlds, Ringworld, Known Space. The setting and chronology is a bit hard to follow. Can you sort it out for us? EML: Larry’s universes (your question deals with only one of those) are on grand scales. Briefly, Known Space is the overarching setting of a future history that opens with early human explorations of the Solar System. Known Space stories continue for centuries, ultimately offering adventures across a bubble of space—and civilizations—many light-years across. Within Known Space, the Ringworld is a physical artifact. Oversimplifying a bit, this is a hoop-like structure a million miles wide, 600 million miles in circumference, circling a distant star. That vast structure has trillions of hominid (although not human) inhabitants. The novel Ringworld, a part of the overarching Known Space future history, deals with the discovery and initial explorations of this wondrous setting. (And, as I’ve noted, the Fleet of Worlds is a separate physical setting glimpsed early in Ringworld.) Larry wrote three sequels about how discovery of the physical Ringworld and the wondrous technologies it embodies affected various Known Space intelligent species. For a more complete discussion, including a recommended reading order(s), File 770 visitors might check out my blog post “Of fleet Fleets and Known Space” (http://blog.edwardmlerner.com/2011/02/of-fleet-fleets-and-known-space.html). CS: Any plans to return to the Fleet universe? I won’t say never—working in Known Space, and with Larry, was a blast—but we don’t have any plans to do so. For now I’m too into my own universes. CS: What exactly are the Drake Equation and the Fermi Paradox? EML: Together, the intellectual framework behind many discussions of the possibility of alien intelligent life. In 1961, Frank Drake created an elegant equation to facilitate a conversation about the Search for Extraterrestrial Intelligence (SETI). The equation provides a way to estimate the number of technological civilizations currently in our galaxy—civilizations for which radio astronomers (like Drake) might listen. The equation relies upon a long list of input parameters, the values for many of which (such as the fraction of planets on which life emerges) are unknown. With different guesses at such values, the equation has been used to suggest both that intelligent and technologically capable life must be common in the galaxy and that humanity is surely alone. The Fermi Paradox is a rebuttal—actually, a prebuttal, dating to the early Fifties—of the more optimistic versions of the Drake Equation. Suppose that the vast number of stars (and optimistic estimates of other relevant parameters) argues for intelligence arising elsewhere in the galaxy. If any alien civilization has technology only slightly in advance of humanity’s, then in an eye blink (by astronomical standards) those aliens could spread across the galaxy. So, nuclear physicist Enrico Fermi challenged, where are they? Why have we seen no evidence of them? All that said, let’s turn to explorations of these topics in my InterstellarNet novels. Much popular SF, like Star Trek, rests on two conveniences: faster-than-light travel and nearby alien neighbors. Apart from authorial convenience, there’s no justification. The known universe seems to insist upon a light-speed limit, and we have yet to find an alien bacterium, much less alien intelligences. But for plot purposes, we authors want not only alien intelligence, but alien neighbors. And not only must the aliens be nearby, and intelligent, they need to have technology so similar to human level—no matter that our respective solar systems may differ in age by billions of years—that conflicts between us and them are suspenseful. In my novels InterstellarNet: Origins and InterstellarNet: New Order, I stuck with slower-than-light travel and radio-based communications. But for an interstellar communications network to function, my aliens had to live nearby, within radio range, and be advanced enough to have radios. I got to wondering: could I find a justification beyond “It’s my universe, and I’ll construct it for my convenience?” I found out that I could—but that justification was a doozy. As constraints so often do, this led to a multilayered, and (if I can toot my own horn) interesting story. That’s my second-most recent novel, InterstellarNet: Enigma. CS: How does in-person alien interaction affect each species differently than interstellar radio contact? EML: With contacts limited to communications, initial impacts are “merely” cultural and technological. Early parts of InterstellarNet: Origins explore the dangers—as when, for example, an interstellar message makes fuel-cell cars practical overnight (and in the process destroys the economies of many petroleum-producing countries). Later in the novel, the interspecies contacts become more sophisticated, reliant upon AIs exchanged between civilizations. (See, I had a reason earlier to mention extraterrestrial AIs.) After AIs have been transferred across the stars, the opportunities for interspecies interaction—and mischief—greatly expand. How? Anything a human hacker might attempt via the Internet, so might an alien AI. And an alien AI might try things no mere human hacker would imagine …. When aliens come calling (as in InterstellarNet: New Order), physical interactions—up to, and including mass mayhem—become possible. CS: Any plans to return to the InterstellarNet universe? EML: A return isn’t on my to-do list, but I suspect I’ll eventually succumb. I’ve thoroughly enjoyed playing in that universe. CS: What is SIGMA, what does it do, and what’s your involvement? And me, personally? Through SIGMA, I’ve taken part in a colloquium on asteroid deflection (which turned out to provide handy source material for Energized, in which a captured asteroid becomes raw material for building solar power satellites), guest lectured at the U.S. Naval Academy, and been a panelist at an academic conference on nanotech. CS: What’s on the horizon for Edward M. Lerner? EML: Thanks for asking. A bunch of short fiction is queued up in 2017, at Analog, Galaxy’s Edge, and the Grantville Gazette—and I have a couple more magazine-length stories in me yearning to be set free. I recently finished updating, expanding, and integrating my various “the science behind the fiction” magazine articles, a couple of which I’ve mentioned, into a nonfiction book. I look forward to placing that. And I’ll be finishing (I’m at about the halfway mark) Déjà Doomed, a near-future adventure novel mainly set on the Moon. And thanks for inviting me to File 770. This entry was posted in Sercon and tagged Carl Slaughter, Edward M. Lerner, Larry Niven by Mike Glyer. Bookmark the permalink.